Locations in Johnston, Providence, Central Falls, and. 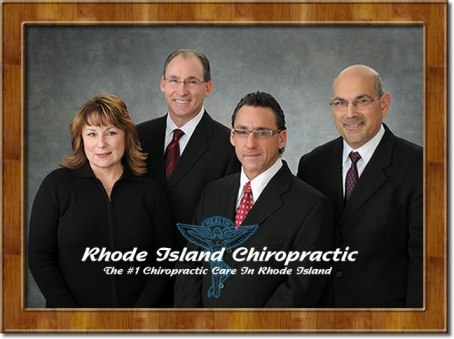 With 4 Locations in Rhode Island, and a 56 year legacy in top-notch chiropractic care, Rhode Island Chiropractic is the premiere provider of chiropractic care in Rhode Island. Our locations include offices in Johnston, Providence, Central Falls, and East Providence. Using the most advanced chiropractic techniques, our team of doctors are able to provide relief for many common ailments. Chiropractic care is a non-invasive treatment which uses spinal manipulation along with other treatment techniques in order to get you feeling your best. Please feel free to browse through our site and become aquainted with our practice. If you'd like to get in touch with us, please visit our contact page. Johnston, Providence, Central Falls, and chiropractors Dr. Joseph Lancellotti and Dr. Michele Lancellotti at Rhode Island Chiropractic Pain Control Clinic are the best chiropractors in Rhode Island specializing in chiropractic care and wellness. Dr. Joseph Lancellotti and Dr. Michele Lancellotti are chiropractors committed to providing pain relief for many symptoms and conditions so that you can have a higher quality of life. Don't just take our word for it though; visit our testimonials page to see what our patients have to say. At our Johnston, Providence, Central Falls, and chiropractic offices you will receive the best care through the use of modern chiropractic techniques and technology.Dr. Joseph Lancellotti, Dr. Michele Lancellotti and the staff at Rhode Island Chiropractic Pain Control Clinic have a genuine concern for your well-being and health! Call us today and we can develop a chiropractic plan specific for you. To receive free wellness and health articles subscribe to our bi-weekly newsletter. If you are already a newsletter subscriber, please explore the member wellness section of our website for animated exercise videos, wellness articles, chiropractic resources, and health facts specifically targeted to your wellness needs and interests by Dr. Joseph Lancellotti and Dr. Michele Lancellotti.